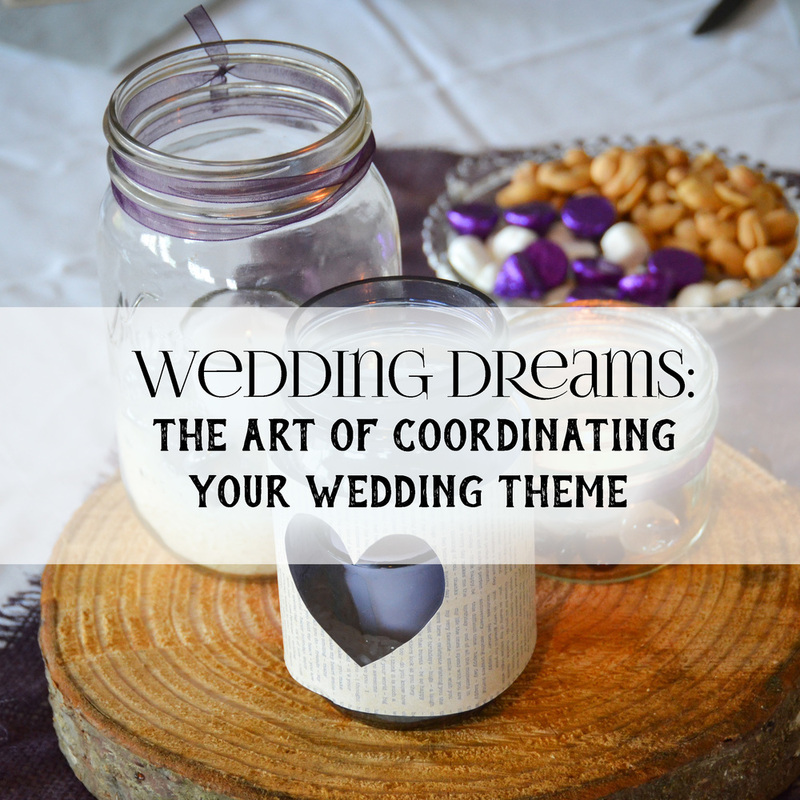 This week I thought it would be fun to give brides-to-be some ideas on how to coordinate the theme of their wedding all the way from save the dates, invitations, decorations, hair & make-up, to what to wear. Our theme for the purposes of this blog, will be a rustic wedding. Currently a very popular choice among brides, but sometimes hard to coordinate through-out the entire wedding, but I have some ideas on how to help with that. I am also very excited to introduce Molly of Lovely You By Molly, she will be contributing to the blog with the hair and make-up portion along with some wonderful hair tips for the day of the wedding! A rustic wedding can be formal-rustic or casual-rustic. So, your first choice would be what direction do you want to take? After choosing your direction, it is then time to look for your save-the-dates and invitations, along with choosing your color combinations. Most people don't realize that your invitations and other printed items can help set the mood for your special day, along with decorations, clothing options, hair and make-up. Its a good idea to use your save-the-dates and invitations to give your guests a small taste of what the day will be like. What things convey a rustic wedding theme? Well there are quite a few things that do this. Some ideas would be, wood backgrounds, mason jars, lanterns, chalkboards, brick walls, wood rounds, logs, stumps, wildflowers, cowboy boots, jeans and much more. Here are a few examples of rustic save-the-dates and invitation sets. These are available for purchase at www.bethannerickson.etsy.com. As you will see below, these use lots of wood backgrounds and a mix of chalkboard fonts and formal script fonts. There are many more styles to choose from on Etsy and they can be created in any color combination you choose. The next step would be choosing what your wedding party will wear on the special day and testing out possible hairstyles and make-up options. Some ideas for rustic attire range from, trendy jeans, dress shirts and cowboy boots for the guys to short/medium length dresses and cowboy boots for the girls if you are choosing the casual side of things. For my own wedding which was a purple and silver wedding with rustic tones, we chose more formal clothing, but wore Converse to bring in the casual side of things. The bride could wear a long or short dress, or a sundress with a choice of casual foot attire. Here are a few pictures to give you some ideas. Now I will turn the blog over to Molly for the hair and make-up portion, picking back up when she is finished. Hi Lovelies! My name is Molly and I was pleasantly surprised when Beth asked me share some tips for Brides on how they might incorporate a rustic style in their hair and makeup for their wedding day. Let me share a little bit about myself before we get to the details. I am a licensed hair stylist and makeup artist for weddings and events. I own my own business called Lovely You by Molly. I have two sweet kids, a 4 year old daughter and a 1 year old son. I own a cleaning business as well but the hair and makeup is definitely my favorite. It is a joy to be a part of someones special day whether it’s their wedding day or headed to prom. I love it when I see a huge smile on a client’s face after they look in the mirror, with the style they have always dreamed of. 1. Choose a classic and timeless look. When picking a hair and makeup style, try to always have in the back of your mind, is this something I will be happy looking at a few years from now, as I browse through my wedding photos? Save the trendy looks for a date night or even your engagement photos but on your wedding day, pick a style that reflects the elegance of a bride. 2. Dry Shampoo is your friend. Dry shampoo is a great starting point for any style, to create volume and texture, especially for Brides who have fine hair or tend to get oily. You will be amazed at the difference it makes. 3. Create variety in your curls. When curling your hair, alternate the direction of each curl. You will get more of a natural look doing this. It also helps your hair to not bunch together into “one” big curl as the day progresses. Thanks for reading and I hope these tips helped you become inspired about a beautiful, rustic wedding theme. If any of you want to contact me for bookings or questions, my email address is lovelyyoubymolly@gmail.com. Come find me on instagram @lovelyyoubymolly as well as Facebook, www.facebook.com/lovelyyoubymolly. I would love to get in touch! Thank you Molly for all those wonderful suggestions. Next up, decorations! Decorations for a rustic themed wedding really are very simple. To complete this theme, use lots of wood, pallet boards, lanterns, mason jars, burlap, candles and lace. Popular right now are wood rounds for center pieces with mason jars or lanterns placed on top. Wrapping the mason jars with burlap, twine, vintage looking paper or lace adds an extra rustic feel and is fairly inexpensive to accomplish. Here are some photos of decoration ideas. If you have any questions on how to accomplish these looks feel free to ask me. To wrap things up, once you choose your wedding theme, coordinating that theme throughout your wedding is really very simple. If you choose a floral theme, look for invitations with your favorite flowers on them, choose a long flowing dress, and bouquets of beautiful flowers. You could use flowers in your hair and have the pocket squares for the grooms be a fabric with an underlying flower texture. Use an arbor in the ceremony with flowers affixed to it and centerpieces with the same flowers arranged around candles or lanterns. Some current trends in wedding themes are bohemian, floral, fantasy, fairy tale and rustic. If you search for these online you will find a many great ideas! But don't overwhelm yourself by trying to do everything you see, just pick and choose what you absolutely love. I really hope this helps you coordinate the wedding of your dreams. For ideas, suggestions or to hire me to help decorate your wedding, just contact me.